The local council elections held on 10th and 11th July, have shown that democracy is the heartbeat of the Ugandan nation. 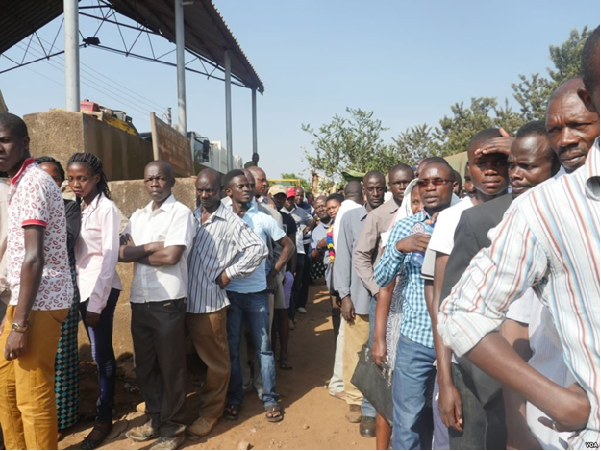 Thousands of political aspirants from Uganda's spectrum of political parties and opinions throughout the country, vied wholeheartedly for the lowest office of political representation, Local Council 1 (LC1). When the voting day came, millions of Ugandans throughout the country participated in the election of their leaders at the smallest unit of political representation - their home village. Referred to a cell, the village electorate is made up of all adults aged 18 years and above. The election of local council leadership reflects the closest dream to perfect popular democracy. In Uganda, the Constitution guarantees the right to vote and every citizen aged 18 years and above is duty-bound to register and vote for public elections or referenda. Using the simple method of lining up behind their candidates, backed up by the village register, vote-rigging and cheating are prevented as effectively as in voting by secret ballot. There are 60,800 villages in Uganda out of which 60,165 villages successfully carried out the voting exercise on the first day of the poll. The rest, affected by issues of non-registration and lack of verification, did so the following day. The LC1 Chairperson oversees the implementation of policies and decisions of the sub-county council in her/his village. S/he is to assist in maintaining law, order and security. S/he is in charge of the security of the cell and a secretary of defence who keeps a tab on all movements and happenings in the village. Indeed s/he is the first line of defence in the country. Indeed the LC1 government in Uganda is the first point of verification and endorsement for all Ugandan documents. On the side of justice, the LC1 court is a village court which handles all non-criminal cases such as marital, clan disputes, land disputes: conflict resolution in the village is one of the greatest duties of LC1 system. In addition the duties and responsibilities of mobilising the village population, of initiating, supporting and participating in self-help programmes lie squarely on an LC1 Chairperson's shoulders. The office is highly sought after not for its monetary benefits, which amount to little more than one bicycle per five-year term of political office, for the Chairperson. The driving force behind the great enthusiasm for the LC1 Chairperson post, as for other posts in the LC1 government, is political. These leaders wish to be the spokespersons and the guardians and guides of their people in different rural areas of the country.